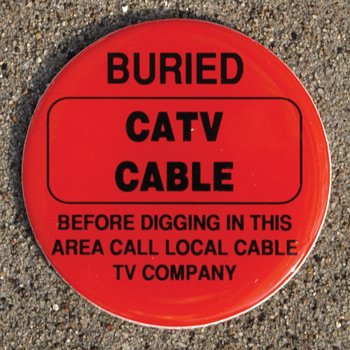 Crystal Cap Markers™ are typically used at the curb level or on the ground. They are visually-appealing and long-lasting. 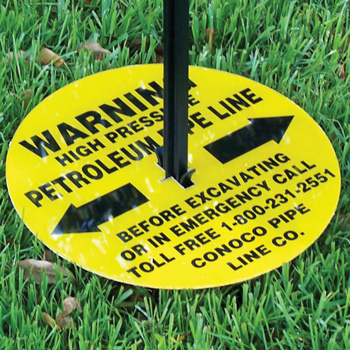 Mark and locate utilities in soil and grass areas with ACP's highly-visible Flush-Mounted Markers. 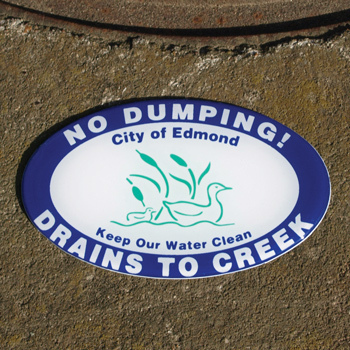 Storm Drain Markers are an excellent way to keep your city's water sources clean and to promote community beautification.